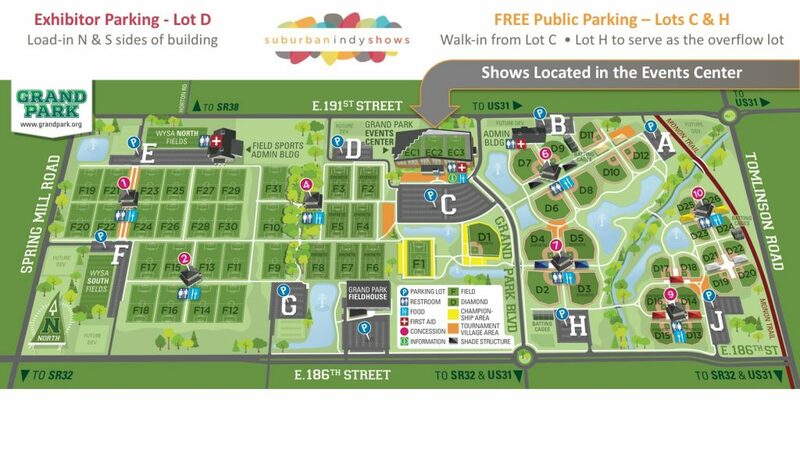 Suburban Indy Shows take place in the Grand Park Events Center! Conveniently located just 13 minutes from I-465 from the Meridian St. or Keystone Ave. exits! Grand Park is in the heart of Hamilton County, just 1 mile West of the recently improved US-31. 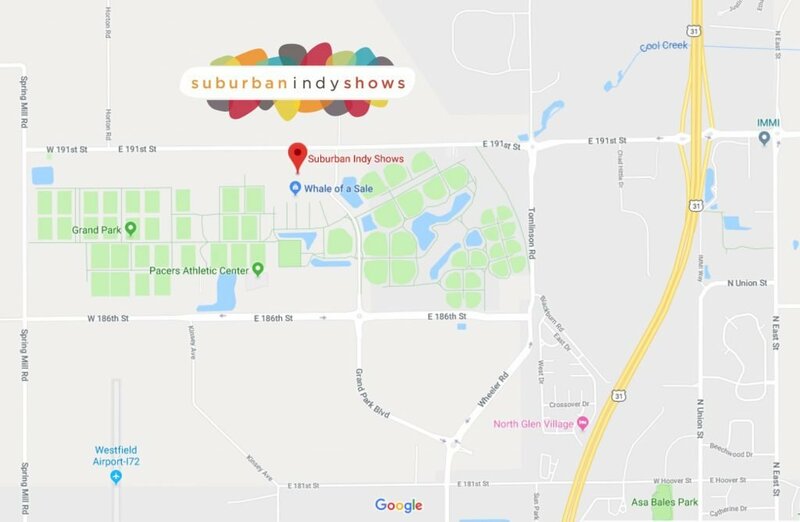 Easy access to the Grand Park Events Center off US-31 is available at the SR-32 or 191st Street exits! Click here or on the map to view location on Google Maps! Grand Park has parking available in many lots. Lot C will be the primary lot for our show guests. 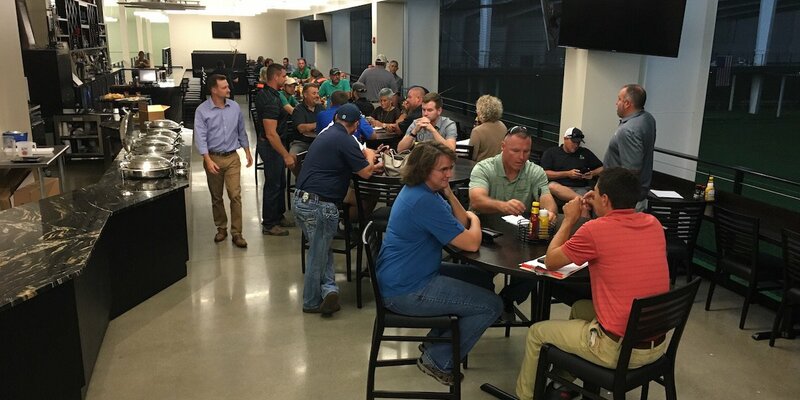 It is located just South of the Events Center entrance and is easiest to access from 191st Street. Lot H will act as the overflow lot if Lot C gets full. If Lot H is needed, a FREE shuttle service will be available to shuttle guests to and from the show. Lot D is reserved for show exhibitors only. Take a look at the Grand Park Map below for reference upon your arrival! 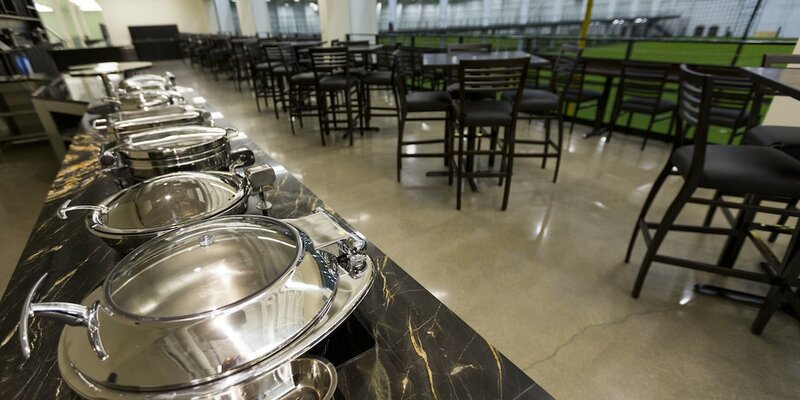 Grand Park Events Center offers many dining options. Here’s what’s planned for the upcoming show! A full food & drink menu is available at the Grill Lounge, located on the 2nd floor overlooking the show. 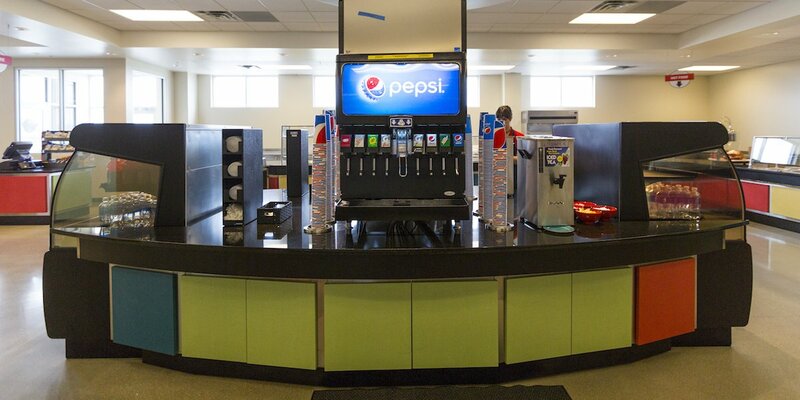 Lighter options and traditional drink choices are available on the show floor in the cafe area or at the lobby concession stand. 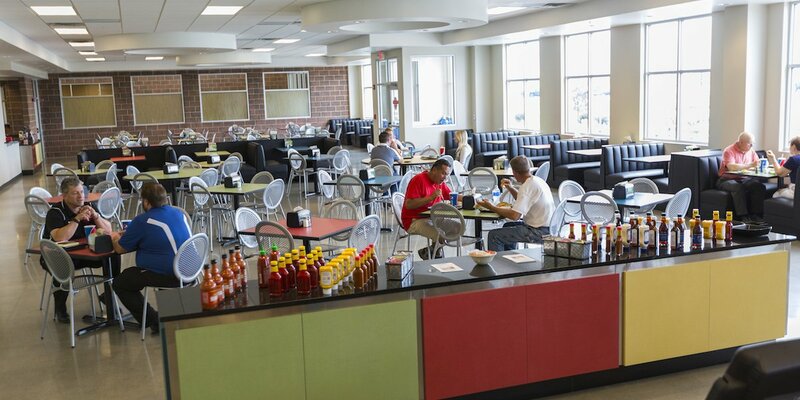 The cafeteria will be open for seating / dining – but food service will not be ran from the cafeteria. Below we hope you will find everything you need to know about your visit to the shows. If you can’t find the answer below… please send us an email with your question and we’ll get back to you ASAP! General admission tickets are $10 at the door, but you can save time and money by purchasing online! Online tickets are only $5 each! That’s half-price… Buy One Get One FREE… however you want to look at it, its a great deal! If you don’t want to purchase online, you can still save $2 off general admission by downloading a coupon! What forms of payment do you accept at the box office? We accept cash, credit and debit cards at the box office. 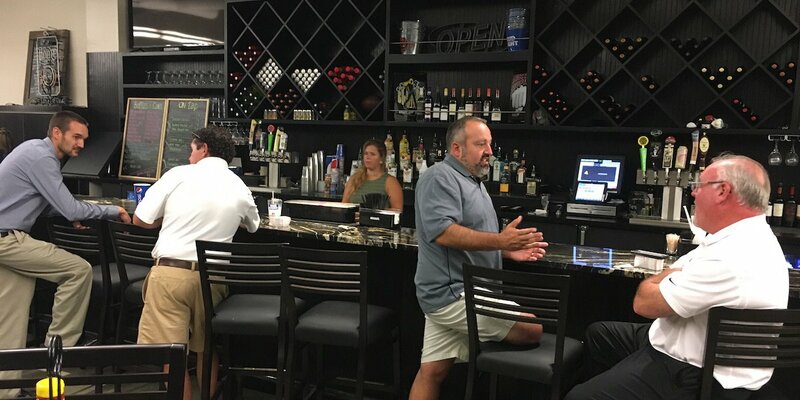 Can I bring my own food / drink in? 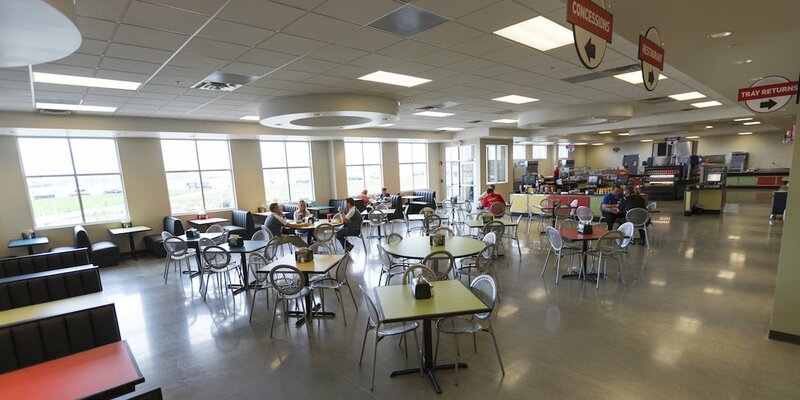 A full cafeteria, restaurant / lounge and snack bars are available to showgoers & exhibitors. Exceptions can be made for parents of infants and young children bringing in milk, baby or specialty foods for their children. Do you have wheelchairs or strollers available for rent? Please plan to bring these items with you if you attend the show. Yes. The new Grand Park Events Center is fully accessible and the show itself is too. There may be some areas of the landscape displays that may be difficult to navigate because they build with stone and rocks. There are ramps in the aisles over power cords. How long will the shuttles to outer lots be running? If necessary, shuttles to the outer parking lots will begin running when Lot C begins to fill up and then run until 30 minutes after the show closes. We hope everyone has a great time at our shows and we encourage you to share your experiences while here! Please use the hashtag #SuburbanIndyShows in your social media posts!